We’re always looking for the next big app to show up on Android, but one of the best ways we’ve found is to simply ask all of our fabulous readers. In the past we’ve asked what your current list of tops apps is – starting this month though, we want to make it a much more regular thing. So instead of a random poll, we’re going to do our best to ask you once a month what your favorite app of the moment is. And of course, feel free to list more than one, but the goal here is to find out which app you’ve stumbled upon recently and just can’t live without. 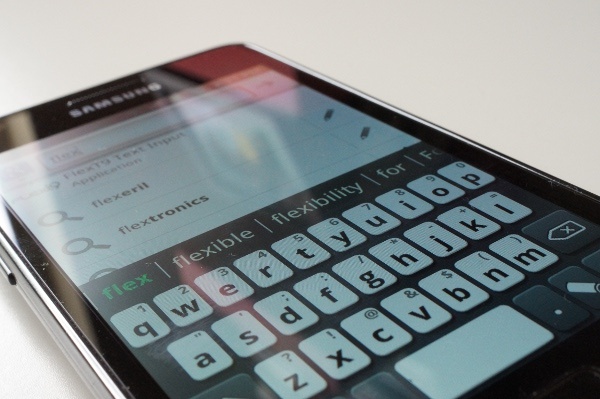 For me, it’s Flex T9 keyboard that was an Amazon app of the day. Every time I pickup a new device to review or mess around with, I find myself downloading the Amazon store immediately just so that I can put Flex on it. I’m officially addicted to this keyboard. And Tato wanted to point out that he can’t get enough Nano Panda, HeyTell, and SMS Popup. That’s three I know, but he’s special. What about you guys? Any current app addictions?